Medical Concept: Bronchitis - Medical Concept on Black Chalkboard. 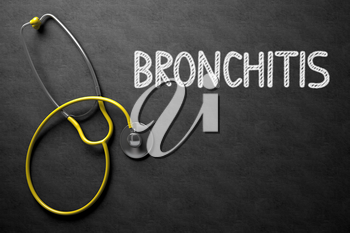 Medical Concept: Bronchitis - Text on Black Chalkboard with Yellow Stethoscope. 3D Rendering.